We're often asked 'What sort of results will I get with Prize Pig?'. This is completely impossible to answer! With hundreds of competitions, each one will work differently for your brand. Here's an example though of one competition that ran recently. 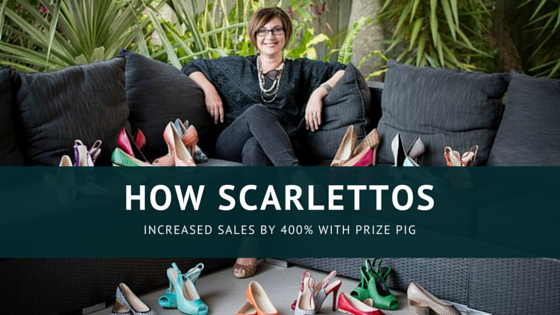 Studio 10 on Channel 10 partnered with Scarlettos and gave them a sales boost of 400% and an online visitors boost of 200%. Watch the competition below and make sure you check out the opportunities available for your brand with Prize Pig. Join the PIG PEN and get our free​​ e-book​ for small biz​ 'How To Win Publicity'!